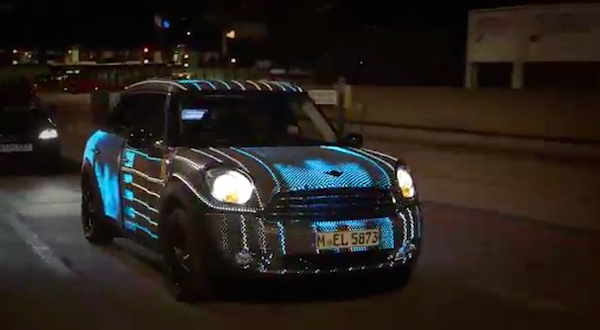 Not that the Mini was lacking it, but the 48000 LED’s that were incorporated in this campaign model give a whole new dimension to its already striking personality. Plus, it enables you to give it your own personality! Awesome, and inspiring to look beyond the typical car surface and the typical ways of using urban screens and faÃ§ades.